What are we to do with _______? Leadership failings and the cross. 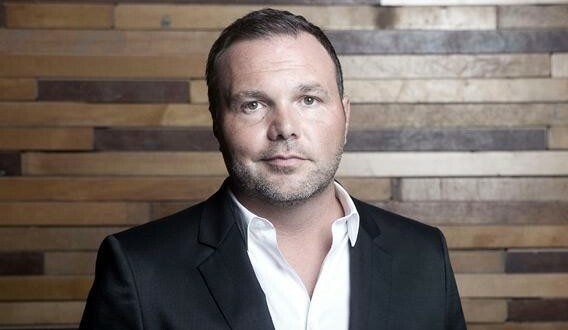 If you keep tabs on what is happening in the worldwide church, then you’ve probably heard about the increasing controversy surrounding Pastor Mark Driscoll, from Mars Hill Church in Seattle (Update, Pastor Mark has stepped down as of Sunday 24/08/14). It’s even made the front page of the New York Times. Claims of his creating a culture of fear to speak against him, prone to losing his temper, misusing church funds, and many many examples of spiritual abuse have come forth. Of course, Pastor Driscoll isn’t the first and won’t be the last church leader to be embroiled in controversy. In Australia, of recent note, Pastor Michael Guglielmucci, using a fabricated terminal illness to garner monetary support from church members; even recording a hit song with Hillsong Church about his faith for overcoming his illness – hit newspaper headlines around Australia and even globally. So what do we do with Mark? With Mike? With ______? How do we process these failings and respond? I think we can find the answers to these questions at the cross. The holiness of God is not a popular topic in much of modern Evangelicalism. God demands perfection. His perfection is what gives his love, grace and justice (and all other attributes) their power. He is perfect, and he desires that we his people become like him. If we neglect to look at God’s holiness, then we minimise sin and the suffering of the victims. Without a holy God, there is no cross on which we see this costly love and grace offered freely (but at great cost) to us sinners. To abuse a position of power is the exact opposite of how Christ wielded his omnipotence – and this is serious. Sin can’t be minimised. God demands justice for those who are oppressed. There are also biblical requirements of what qualifies someone for leadership. 1 Timothy 3:1-13, 2 Timothy 2:1-13, Titus 1:5-9, Acts 6:1-6, and Exodus 18:21-22 tell us that a leader needs to be competent in being able to preach and teach the Bible and be able to lead, not have character flaws such as being prone to anger, drunkenness – having a good reputation with outsiders. They need to also be compassionate towards others. Leaders need to take this seriously, as God takes this seriously. There’s a scripture that scares me as a Christian leader, James 3:1 – which says that I will be held doubly accountable by God for my actions. Any relationship where the person in power misuses their power over another person is an abusive one. I personally know what it is like to be in a church that has caused much pain through an at times abusive leadership, and much damage to a number of people. Many of these people are no longer part of a church community, and many still carry deep psychological scars. The effects of spiritual abuse are incredibly painful and intimate: the reason being that spiritual beliefs are some of the most personal, deeply held parts of our psyche. Leaders need to be better, they need to be holy, and no excuses can be made for their sin. We have a responsibility to seek justice for the abused and hold abusers to account (both within a community, and if necessary, within the courts). We need to pray for them and support them and their families. It can be incredibly difficult sometimes, to see anything other than the awful actions of fallen leaders – especially if we know some of the victims left in their wake. But before we allow our anger to boil over – we need to remind ourselves of our own sin. Why? Because of the devastation our sin caused an innocent God. How did a perfectly righteous God respond to my sin? In his anger at my sin, he stepped in and took the punishment I deserved. Our sin may be different in its severity, in the form it takes, and (especially if we aren’t leaders) have very minimal consequences for others. But it is no less serious, and it sent Christ to the cross for us, just as it did for Mike and Mark. In Matthew 18:21-35 – we find the parable of the unforgiving servant. Who was forgiven an enormous debt, and yet became enraged and refused to forgive a debt owed to him. If God has forgiven our overwhelming spiritual debt against him, then we cannot deny forgiveness to those who fall on this earth; with a caveat that forgiveness should not always equate to reconciliation between the abused and abuser. The grace shown to us in spite of our sin against God and others tempers our response to the sins of others, no matter how devastating. Whenever I hear of a leader falling, my prayer is ‘dear God, help me.’ I’m somewhat charismatic in personality (somewhat geekily) and somewhat gifted too – people do trust me and listen to me. But when I look at Mark and Mike’s gifts, their talents, their passion, their drive and leadership – I remember that even the best of us are not immune to pride, and success. Pride is so terrible a malady, Paul says in Timothy, that we fall into the same judgement as the devil. If great leaders can fall, then so can I. Our prayer should be for humility, especially in success. The cross is where God’s holiness and his love meet. We must have both in mind, in equal measure. Finally, the cross also shows us a saviour willingly laying down all power, and religious leaders ready to kill to keep theirs. God in the hands of angry sinners. In a recent article, I looked how the apostle Mark contrasted Christ’s giving away power and choosing to be dis-empowered with the disciples clamouring for power. We are still clamouring for power, and it is still part of the volatile mix that destroys people within the church. Why is it that so often, large churches attract these charismatic leaders that abuse power so awfully? What would I do to keep the measure of power within the church community that I have – would I be prepared to give it away like Jesus, for the benefit of the community? Or would I try defend my power? What would I be willing to do, to defend my position? All our leaders need prayer, perhaps no more so than charismatic leader. Let us pray that God would keep them humble and keep them from from bringing the church into disrepute. Let us pray for abusers to be exposed, their abuse to end and that they would feel the deadly cost of their forgiveness. Let us pray for justice for their victims. But lets redeem the failings of these leaders by allowing them to produce change in us – a desire for greater holiness, humility in our own ability and a deeper appreciation for the grace of God at work in and through us. **Update: 06 June 2015. Mark Driscoll has been in the media here in Australia due to being invited to be interviewed at the Hillsong Nations Conference. Do exclusive truth claims cause conflict?